Can't remember Martin in this but then again I can't remember that much anyway! Also I thought the Austin Metro Challenge was the Irish version. Oh yeah, good one Peter! think he was one of the Klaxon-Dunnett drivers at one point? Other fairly well heralded drivers (not to disrespect the many one-make specialists from the time that could easily hold their own!) 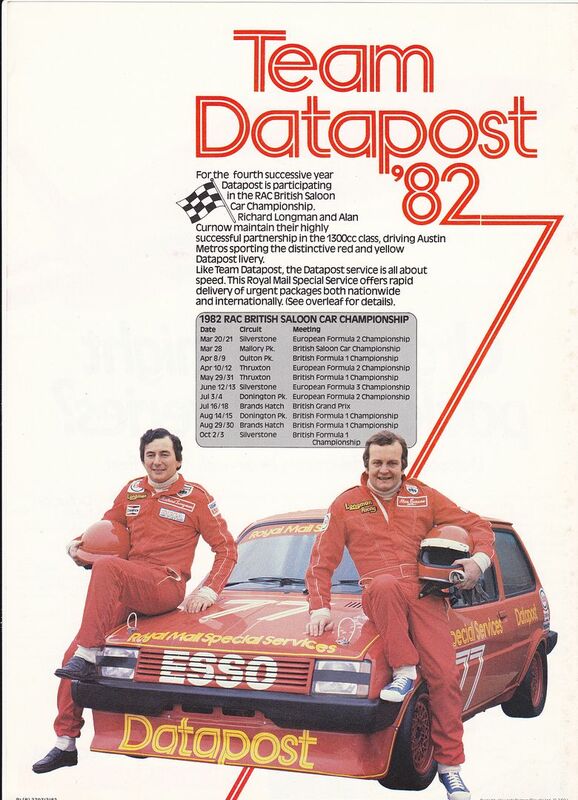 to do either the British or Euro versions at certain points included David Leslie in '85?, Steve Soper '81?, Tim Harvey in several years I think? I just plugged in Esso Metro Challenge into Wolfram Alpha and got the financial results for Exxon corp.
that is my car but before I owned it. 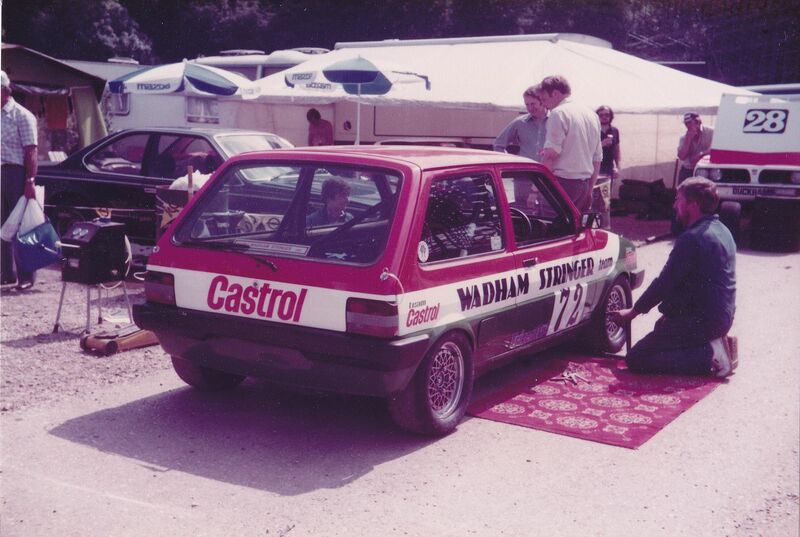 I am pretty sure that is Silverstone with Dennis Robinson Driving it, rented from HT Motorsport. I believe there was a kit supplied by Austin Rover Group that contained mods such as rear anti roll bars, fuel filter, modded plenums etc. As for Dave Spencer's car I do not know much about it, it came out once in 2008. It is said to be pretty powerfull and well sorted. Even the ex challenge cars are getting quite sort after now, quite proud to own one to be honest! Ah yes, apologies, it was Dennis and it was 2005, when I took it at the MGCC Festival. The corner is Brooklands. 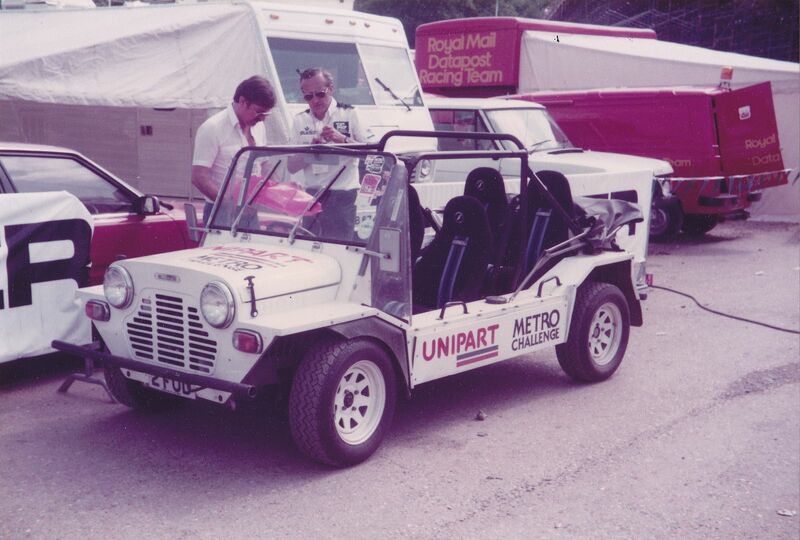 We used the Roversport rear A/R bar etc, but it wasn't a "kit" as such, you could buy the bits you wanted. The bodykit was part of it too. He finnish mid field that race, what was he doing?? I will find out more about the "kits" from the old challenge boys at Brands next weekend. I will also post some picutres up of ex challenge cars still running today. There was also the front engine steady bar. Other stuff was possibly not in the spirit of the regs but there were some interesting interpretations on the rear suspension. 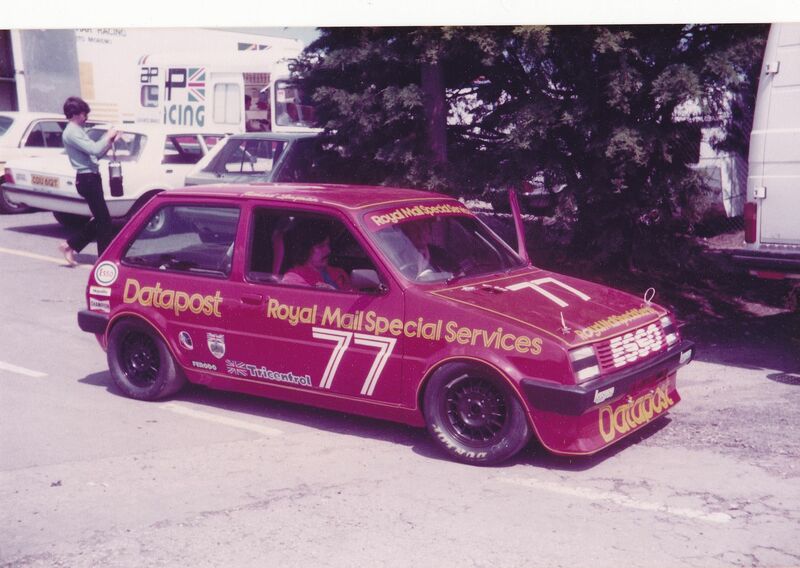 There certainly was an MG Metro International Challenge Championship in 1986. It may have supported higher level series at some of the tracks it visited, but it was also a standalone too. 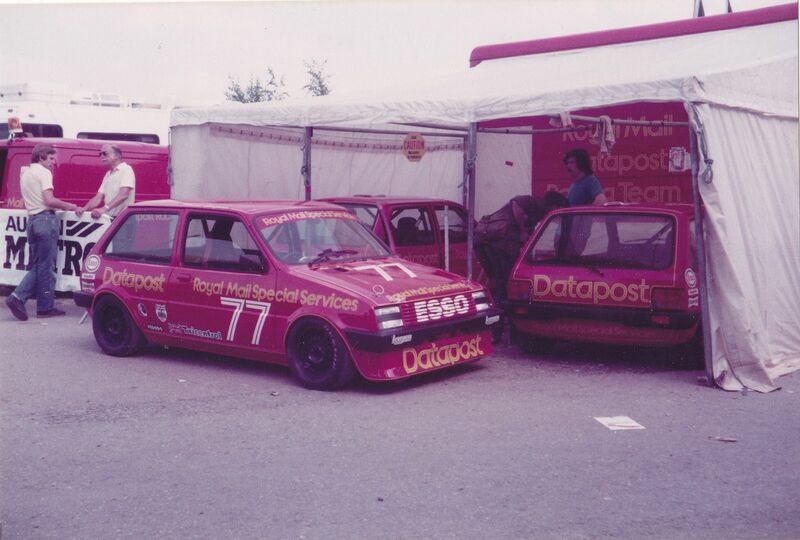 The series was run by Roger Dowson Engineering and was the only one make championship endorsed by FISA at the time... how times have changed... almost everything's one make today. o Montlhery on October 11. 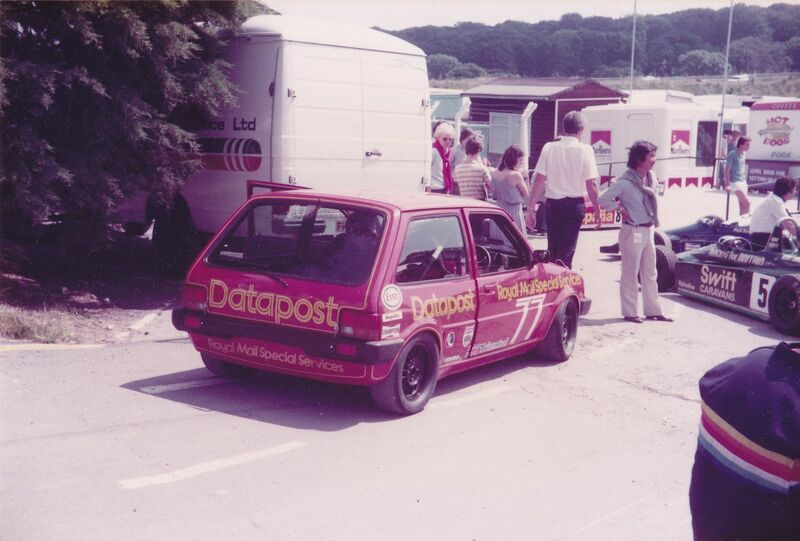 Among the more well known drivers were mini/metro stalwarts such as Dave Carvell, Peter Baldwin, Chris Lewis and Dave Loudon. There were quite a few French drivers including Claude Boissy, Dominique Lenaert, Carlo Gomez, Andre Lechat, Didier Belz, Bernard Guillou and Jacques Lacoste. At the Phoenix Park event that year, Michael Cullen and Irish rally Legend Billy Coleman guested... in fact I think Cullen did a few more rounds of the series too. I noticed that Lawrence Bristow and the evergreen Tony Dron were entries as well. I wonder though, were those cars turbocharged or not. I know its a long time ago, but casting my mind back to the event in the Phoenix Park, I'm not sure that they were you know. A picture from the Phoenix Park in 1986... typical cut and thrust racing ! Here's an interesting find on eBay. Martin Perrett 1988/1989 MG Metro Turbo Championship winning car. A nice field of MG Metros, Silverstone GP circuit June 1986. Best one-make series ever! I'm currenty tuning these cars for a popular PC based racing sim and I need some specs. What power did they make? What was the rev range? Did they use the standard gearing? What did they weigh? 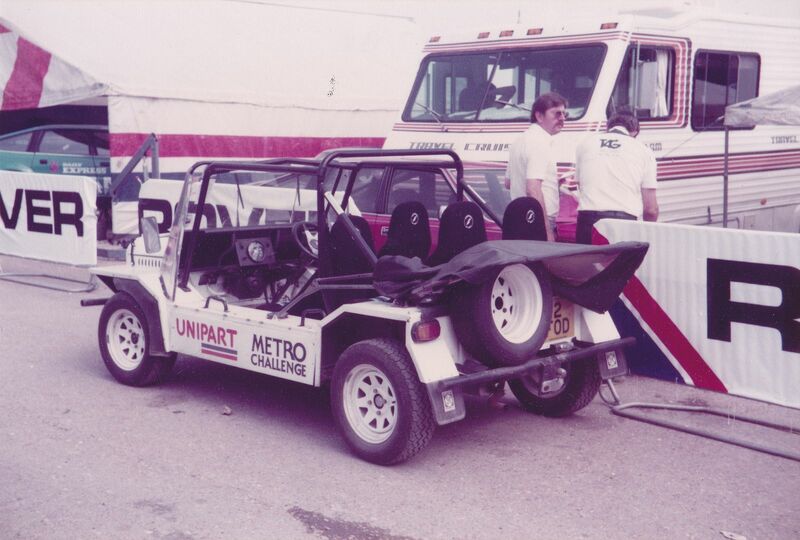 my father used to race for the metro turbo challenge in the 80's in France and in UK. We still have the car without his engine... if someone is interested... in the early 80's it was a non turbo challenge (the beige one) and he stopped in 88 with the red turbo. I reinstalled these cars last night and got the graphics working much better, but i'm still trying to tune the physics to get more accuracy in the performance of the cars. Can anyone tell me how much power they made and at what revs? Also, how much torque, at what revs? What were the gear ratios?